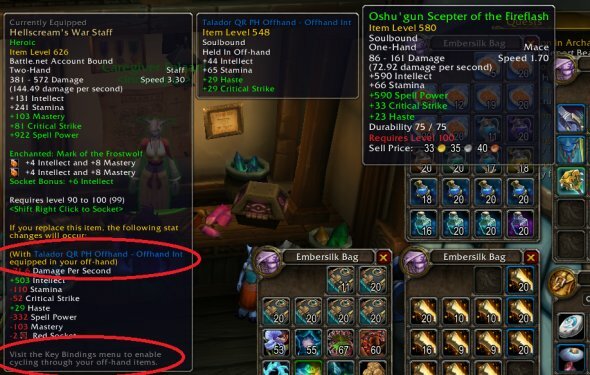 Compare equipped inventory items against items in any other frames, including but not limited to quest and log, bags and bank, crafts, chat hyperlinks, and even other mods. Mouseover any equippable item button (eg. in containers, banks, quests, etc.) or chat hyperlink (GameTooltip will popup) to compare your current equipment. Tooltips will try to stay within screen boundaries. Lightweight (only about 10kB) and no dependencies nor extraneous code.